I enjoyed C.C. Hunter’s Shadow Falls: The Next Chapter. It continued the tale of Kylie Galen and her supernatural misfit friends. Kylie is no longer a wishy-washy teen. 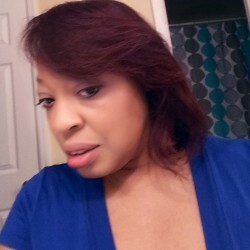 But, she is still trying to figure out which supernatural group she belongs to while navigating a love triangle. The more I read about this character, the more I like her. Although she’s supernatural, she has normal people problems. She’s worried about fitting in, how to choose between guys she likes, managing bickering roommates and dealing with her separated parents. After reading Taken at Dusk, I wasn’t a fan of Derek. He was guilty of saying one thing and doing another. My opinion changed after reading Whispers at Moonrise. His behavior made sense. I even understood how his emotions overwhelmed him. After all, normal people can get lost in their emotions and be unable to function. Where Shadow Falls: The Beginning was about friendship, Shadow Falls: The Next Chapter was about relationships in general. I appreciated how Hunter deepened the relationship between Kylie and her mother. The “Ice Queen” really loved her daughter and made a real effort to show that. I enjoyed the blossoming relationship between Burnett and Holiday. It was humorous and heart warming. I even liked the strange relationship Kylie was having with her ‘ghost’ Dad and her stepdad. Kylie’s love for one man didn’t diminish her love for the other. 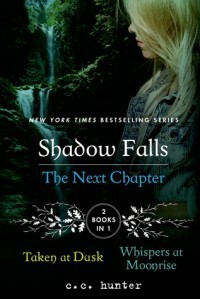 Kylie’s quest to discovery her true nature intensified the plot in Shadow Falls: The Next Chapter. She learns that the FRU, a supernatural government agency, has secrets and major skeletons in its closet and they may involve her. By the end of Taken at Dusk, Kylie has a better clue of her true nature but it is puzzling. She needs answers and that’s where Shadow Falls: The Next Chapter installment ends. Hunter did a fantastic job interweaving humor, classic teen issues and a paranormal plot. I had serious laugh out loud moments reading Shadow Falls: The Next Chapter. The characters are well-developed and continue to mature in the series. I’m looking forward to reading the last installment in this series.